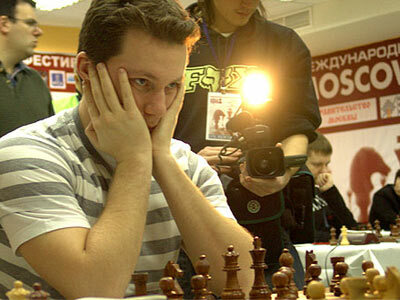 The second round of the Aeroflot Open was marked with a large number of quick draws in the main A1 tournament. The only fighting draw in the upper house was seen on the first board, in the game between Landa and Naiditsch. GM Igor Kurnosov, champion of the last year’s Arctic Chess Challenge, nicely outplayed Moscow Open winner Alexander Onischuk from the Black side of the Gruenfeld Indian defence. His compatriots Pavel Smirnov and Pavel Ponkratov joined him in the lead. IM Ponkratov beat Wesley So of Philippines in a game that was commented live here on Chessdom.